Caracas, Venezuela – Supporters and opponents of Venezuelan President Nicolas Maduro are once again pouring into the streets of Caracas, the latest rival rallies to be held in the capital amid a protracted political crisis and rising anger over blackouts that have left millions without electricity and water. Juan Guaido, the self-proclaimed interim president and leader of the National Assembly, has asked his supporters not to get used to living in “darkness” while blaming high-level corruption and mismanagement under Maduro for the electricity outages. Guaido has also held the government responsible for an exodus of people from the oil-rich country – according to the United Nations estimates, around three million Venezuelans have left since 2015. Earlier, opposition supporterLobelai Sandoval said she was marching “in the name” of her son. “A son that this country has taken away from me, as he had to leave,” she said, dressed in the colours of the Venezuelan flag. “I am alone, thanks to this corrupted government that has left us in the situation we are today, and like me, there are many other mothers, many other families have split,” Sandoval added. 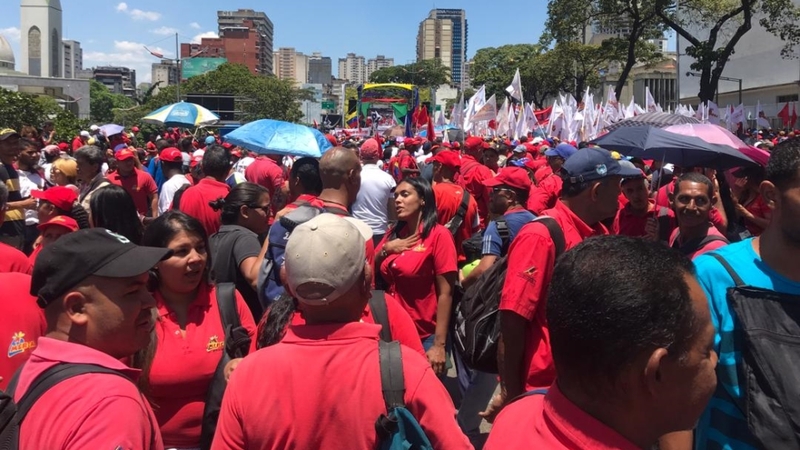 Across the city, government supporters were also taking to the streets for a “march in defence of peace”, as Maduro labelled it. 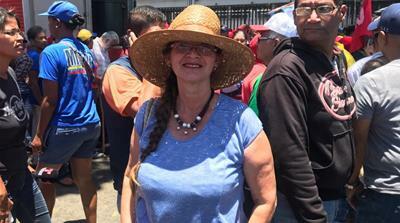 “I’m going out to defend the future of my children and grandchildren,” Elizabeth Ruiz, a Maduro supporter, said. “No other nation can interfere in our affairs,” she added. 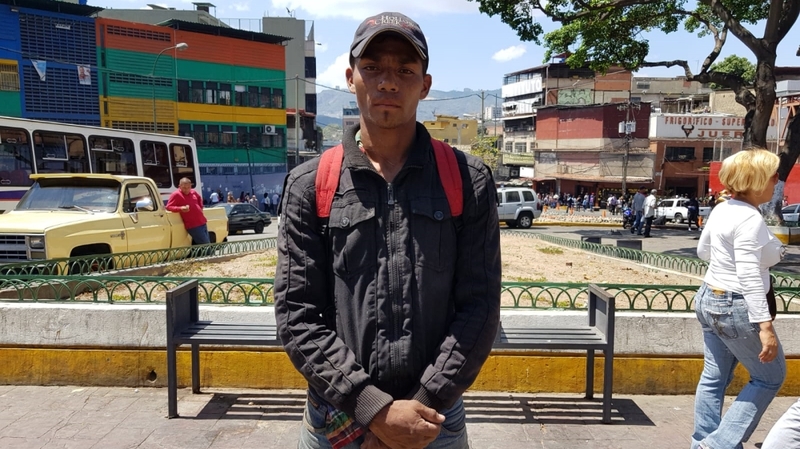 The rival displays came days after Guaido said he feared abduction by the government after the Constituent Assembly on Tuesday stripped him of his parliamentary immunity and authorised the country’s top court to prosecute him for proclaiming himself president. The US, which has openly backed Guaido, has called for a UN Security Council meeting next week to discuss Venezuela’s “humanitarian crisis”. “The United States will continue to exert all diplomatic and economic pressure to bring about a peaceful transition to democracy,” Vice President Mike Pence said in a speech in Houston, Texas. “Venezuela’s oil belongs to the Venezuelan people,” he added. The sanctions were the latest by the US as it tries to choke off revenue for Maduro’s government, which enjoys the backing of China and Russia. “We must push for agreements that can prevent this train crash,” Luis Vicente Leon, an economist and analyst, said, referring to the deepening rivalry between Venezuela’s government and opposition. “If this is not resolved in a different way, this could end pulverising what remains of the country, businesses and infrastructure,” he added. The Washington-based institution has also said Venezuela’s inflation rate could reach 10 million percent by the second half of this year, exacerbating the country’s economic crisis. “No matter how hard they try, Venezuelan authorities cannot hide the reality on the ground,” said Shannon Doocy, an associate professor of international health at Johns Hopkins University, who conducted research at Venezuela’s border. “The state is not following through its obligation with the health system,” he added.